In its third year, 1Hood Day brings art, activism, Freeway and Beanie Sigel to Spirit Other performers include Jasiri X, Idasa Tariq and Blak Rapp M.A.D.U.S.A. If you’ve attended any event in Pittsburgh in the past decade where hip hop, education and activism intersected, it’s a safe bet you already know 1Hood Media, or have at least rubbed elbows with its members. 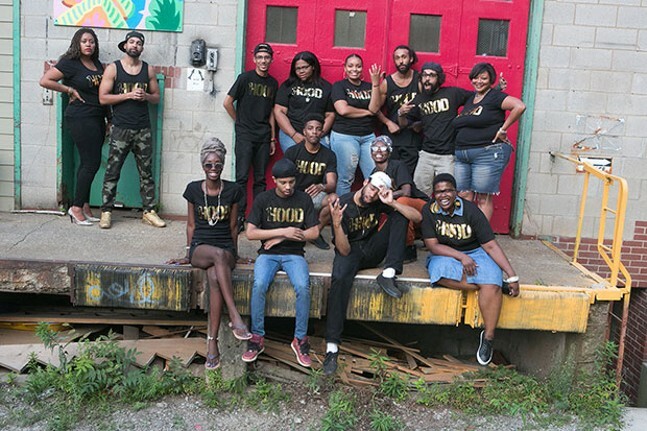 The collective was formed in 2006 by activist and artist Jasiri X as a platform to bring hip hop, education, activism and community outreach under one roof to connect with communities in Pittsburgh. In the decade since, the group has evolved into one of the city’s most active and visible cultural institutions. On Fri., Aug. 11, at Spirit, the collective celebrates another milestone year with the third annual 1Hood Day, featuring performances from veteran rappers Beanie Sigel and Freeway (both Philly dudes, but 1Hood isn’t really about putting up walls), plus Jasiri X and 1Hood members Idasa Tariq, Blak Rapp M.A.D.U.S.A., Jacquea Mae, livefromthecity, DJ Big Phill, L U C, Jordan Montgomery and more. “Our idea for 1Hood Day came out of two things we saw were lacking in Pittsburgh’s entertainment community. The first was a festival dedicated to hip hop,” Jasiri X wrote in an email to City Paper. “We wanted to pay homage to Pittsburgh hip-hop tradition and culture that helped shape the national hip-hop scene, going back to when [Pittsburgh hip-hop artists] Mel-Man and Sam Sneed helped Dr. Dre create his legendary sound. One of the hallmarks of 1Hood’s aesthetic is how it blurs the lines between art and politics, activism and education. No performance is apolitical; no workshop or demonstration is without a sense of artistry. The first 1Hood Day, in 2015, was presented in collaboration with AR3, a summer basketball league dedicated to the memory of Anthony Rivers. After Rivers was murdered in 2008, his older brother Jason started the league (named for his initials and jersey number from his days at Penn State Greater Allegheny) as an effort to help redirect young people in the community away from violence. For the past two years, AR3 has hosted a basketball tournament in conjunction with 1Hood Day, and although they’re being held separately this year, 1Hood will still be involved. As a testament to the power of the event, the brother of the man convicted of killing Rivers now participates in the AR3 tournament, Clarke says. “That’s really an organic representation for what it means to really be community and come together despite differences and adversity and try to be productive,” says Clarke. In addition to splitting the tournament and the performances, this year’s concert will be the first to be held indoors and take place over only one day — to avoid potential weather issues and keep the event focused, respectively. While Clarke says the goal is to cultivate the vibe of a family reunion, reaching out and connecting to new voices in the community is also a priority at the event. 1Hood regularly receives inquiries about how to join the collective, and the event provides up-and-coming artists the opportunity to get a feel for what the collective and its members are all about. It plans to begin auditions and applications for new 1Hood artists in the next few months. New voices are vital to 1Hood’s success.